What to look for in a dog trainer. If you are hiring ANY dog trainer or behaviourist please, please take a few moments to read through, then watch the video. Dog training in the UK is unregulated and anybody – yes anybody - can set themselves up as a dog trainer or behaviourist without education and qualifications. Lots of people have lots of experience with dogs but that doesn’t mean they understand animal learning, are ethical trainers or have been tested and examined. 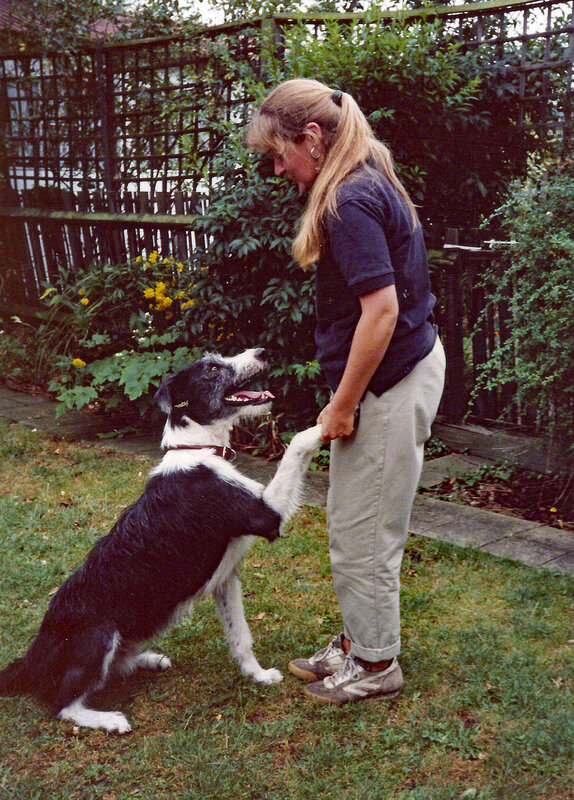 You’ll no doubt have noticed an outbreak of social media expertise on the subject of dog training, everything from “I know about dogs – I had one once” to “my dog did this – I’ll tell you what I did”. Whilst people may genuinely want to be helpful, please be mindful that behaviour in dogs can be complex, with many factors adding to the mix. There is substantial scientific evidence that using aversives such as special collars which strangle or shock, startle devices and forceful positioning of dogs risks lasting fearful side effects, this is a welfare concern. Positive reinforcement training is now widely endorsed even for serious and difficult behaviour problems by leading animal welfare and rescue organisations. There are no silver bullets and no quick fixes, we are used to things happening so quickly in our super connected digital age but behaviour in dogs moves at biological speed. A trainer offering “a quick fix” or a “magical solution” should ring alarm bells. What exactly will happen to my dog when he gets it right? What exactly will happen to my dog when he gets it wrong? Are there less invasive alternatives to your methods? What should owners look for in a dog trainer? If you ask us, the most important thing is **transparency**. If a dog trainer is not willing to fully disclose, in clear language, exactly what will happen to your dog (in the physical world) during the training process, keep shopping. A passion for dogs grounded in science and experience. What does force free, reward based training with dogs look like. Watch dogs learning in real time. Watch how positive reinforcement training builds behaviour. We show how we work with a variety of dogs, each a study of one. You can be completely confident that we only use force free techniques that are effective in resolving a wide range of issues.